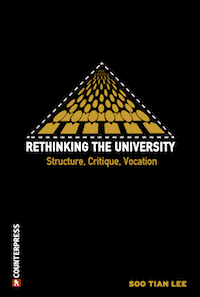 On March 22nd, 2013 the Employment Tribunal (UK-London) rendered judgment in the case of Fraser v University & College Union (UCU). Ruling in favour of UCU, the Tribunal’s judgment brought immense relief to UCU members, BDS (Boycott, Divestment, Sanctions) activists, and others who were anxious about the potential repercussions that a negative outcome might have for freedom of political expression, particularly in the context of union activism, anti-racism and human rights. The ruling is an interesting read in its effort to come to grips with the spirit and letter of the 2010 Equalities Act legislation. The case is also significant as one among many different attempts to contest BDS through the courts in a variety of jurisdictions including France and the UK. The causes of actions have been different, although they have all been focused on BDS supporters and activists. 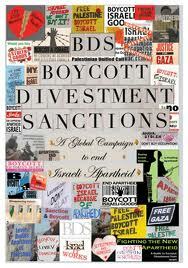 The as-of-yet unsuccessful prosecutions of BDS activists in France have variously attempted to criminalise activists who were calling for the boycott of Israeli goods on the basis that they were guilty of “inciting discrimination and racial hatred.” Fraser v UCU had the overarching objective of attempting to shut down debate of BDS. Despite their differences, the underlying rationale is a shared one: political criticism of the State of Israel and political action that supports BDS are viewed as anti-Semitic – either inherently so or in particular instances. This is why the ruling, a wholesale dismissal of Mr. Fraser’s claims against the UCU, is incredibly important for those who have heeded the call from Palestinian civil society to engage in BDS. Counsel argued that the claimant’s identity as Jewish is inseparable from his attachment to Israel. 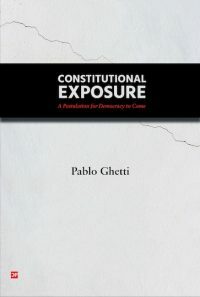 The Judge notes however, that no authority was provided for or against the proposition that “statutory protection attaches not only to any protected characteristic per se but also to a particular affinity or sentiment not inherent in a protected characteristic but said to be commonly held by members of a protected group” (para 18). We get a glimmer here of the elision that is consistently made by supporters of Israeli policies who brandish accusations of anti-semitism against critics of Israel: because Mr. Fraser’s identity as a Jew is imbricated with a strong attachment to Israel, to criticise Israel is to criticise his Jewishness. This ruling is to be praised for dispassionately detaching Zionist political beliefs from Jewishness as a protected characteristic under human rights legislation. This is not to say, of course, that criticism of political Zionism or Israel never amounts to anti-Semitism. But in this particular case, each of the 10 discrete complaints that were made to prove the charge of harassment were dismissed. The Equalities Act 2010 imparts a very different approach to harassment than previous legislation (para 32).1 There is a shift from ground to atmosphere. (On a different but related note, see here for interesting new work on atmospherics and law). Whereas the pre-2010 Act “required that the treatment complained of should be ‘on grounds of’ the relevant protected characteristic” the 2010 Equalities Act instead posits a “related to” test; what is required is not a “causative nexus between the protected characteristic and the conduct” alleged to have constituted harassment, but instead, an “associative connection” (para 32). This associative connection is somewhat looser, and to establish harassment the court or tribunal will examine a range of acts that often fall outside traditional understandings of how discrimination and harassment occur. As the Tribunal notes, legislation that protects from harassment is meant to “create an important jurisdiction” (para 38). The experiences and knowledge of the claimant matter in this jurisdiction: the subjective element of s. 40(2)(a) of the Equalities Act enables the claimant to speak (dicta) his perception and relay her experiences to the law (juris), as it were, and this must be taken into account by the Tribunal. This jurisdiction is also constituted by environment, which evokes something rather different than the tangible metaphor of grounds, the causal link that used to be required to get from A (actions of the respondent) to B (the harm suffered by the claimant). 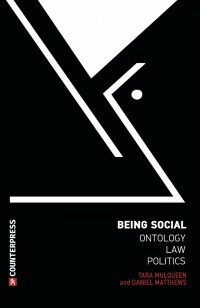 This seems an apt approach , for identifying and remedying the slippery, common sense, amorphous, yet systemic and brutalising nature of sexism, racism and anti-Semitism (in other jurisdictions, it involves adopting a contextualised approach to judgment, an approach developed by and advocated for by many feminist legal scholars over the past several decades). The law essentially makes the support of boycotts against the state of Israel a civil wrong, actionable in tort law. 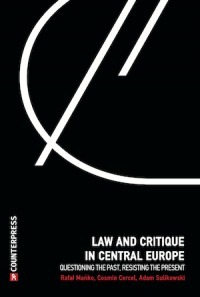 The use of law to criminalise BDS activities, or to hold individuals civilly liable for supporting BDS, or indeed, to claim that debate or discussion of BDS is a legal wrong, is not only a matter of freedom of expression, but constitutes, in the words of the Tribunal, an “impermissible attempt to achieve a political end by litigious means.” While achieving political ends through the law is a strategy employed by many, these attempts to use law as a tactic of suppression (of political activism and debate) must be resisted in the strongest of terms. The Tribunal upholds the values of tolerance and pluralism in defining the contours of freedom of expression. This means that for freedom of expression to be meaningful, the right of people to voice views that will conflict with others must be protected. 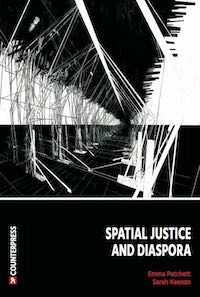 For critical legal scholars and others, the words “pluralism” and “tolerance” immediately bring to mind a rich field of critique that points to the ways in which these very values work to produce cultural and racial homogeneity (and thus exclusion) in nation-state forms, among others obstacles to full and robust democratic practices. In the specific context of union activities, however, perhaps these ‘basic minimums’ are to be welcomed; they are certainly absent when it comes to the protection of freedom of expression in the public contexts of political demonstrations. One need only think about the 78 protestors (a vast majority of them British Asian Muslims) who were prosecuted for violent disorder while exercising their freedom of political expression against the Israeli bombardment of Gaza in 2008/2009. Many received prison sentences. The criminalisation of those who take to the streets to express their political views diminishes the value of the right to freedom of expression, narrows the range of forms that expression may take, and arguably impoverishes the scope of political debate. At least in the context of union activism and debate, the Employment Tribunal has preserved the right of advocates and opponents of BDS to engage in full and robust debate over an increasingly powerful and widespread strategy to support Palestinian civil society in their struggle to end the Israeli occupation. I read this article and found it very interesting, thought it might be something for you. 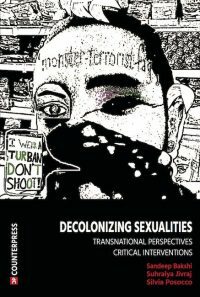 The article is called Debating BDS (Boy­cott, Divest­ment, Sanc­tions): Fraser v UCU and is located at http://criticallegalthinking.com/2013/04/02/debating-bds-fraser-v-ucu/.